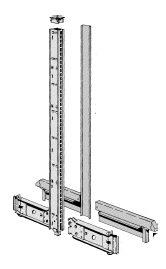 The picture above depicts a 8' double sided gondola configured with two sections and one end that includes: all the trim pieces such as front kick plates, base shoe covers, and upright covers. 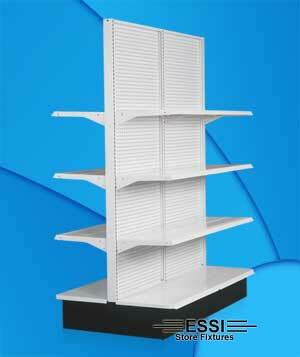 The double sided sections are designed to be placed in the center portion of the merchandising floor and can be used to separate the store and aisles. We have double sided sections available in depths as small as 12" and as deep as 30" with heights that start at 36" up to 96". 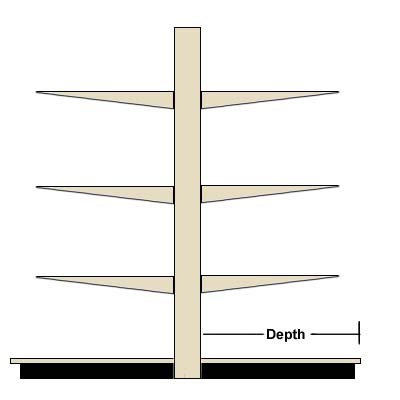 Floor anchors are suggested and available for all heights above 48". 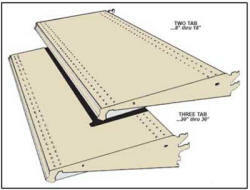 Check with your contractor, city and county building codes. 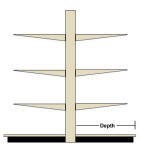 To create a Double Sided aisle as pictured in the images on the top of this page you will use the Double Sided Section pieces below to configure your aisle length as the sections are available in either 3 or 4 foot sections and your will need an end to complete your aisle of Double Sided Gondola. A Double Sided Section includes 2 lower shelves, 1 upright, 1 upright cover, 2 base shoes, 2 hardboard backs, 2 kick-plates, 2 base shoe cover, 1 upper spanner, 1 center spanner, and 1 lower spanner. Upper Shelves available in two inch increments starting at 8 inches to 30 inches deep and widths of a 24 inch, 30 inch, 36 inch, and a 48 inch. 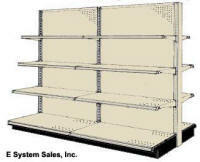 Freestanding Wire Binning System front Fences and Dividers allows flexibility in merchandising lighter products. 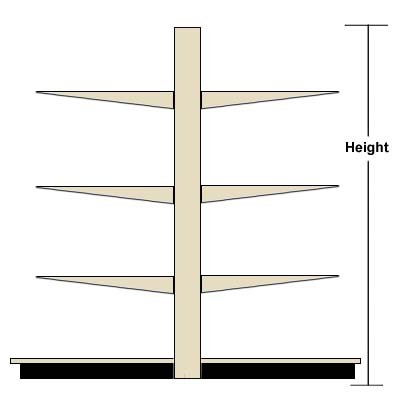 The fences have welded on “feet” for attachment to shelf perforations. Fronts and dividers may be used independent of one another. A Double Sided End is used to complete a Gondola Aisle. 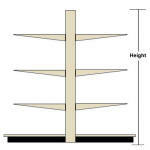 For example a 16' Double Sided Aisle will consist of 4 Double Sided Sections and 1 Double Sided End to complete the Aisle. A Double Sided End includes 1 upright, 2 base shoes, 2 base shoe covers, and 1 upright cover. 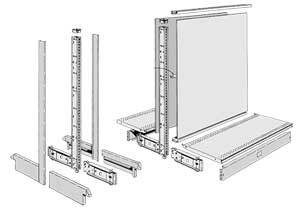 The Gondola End Cap is configured with the same components as the double sided and single sided gondolas. 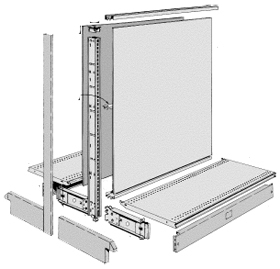 As it is a single sided section in a double back configuration it can easily be installed right up against and existing aisle of double sided Convenience Store Gondolas. 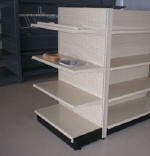 Identify all the pieces used to configure a section of Convenience Store Shelving. 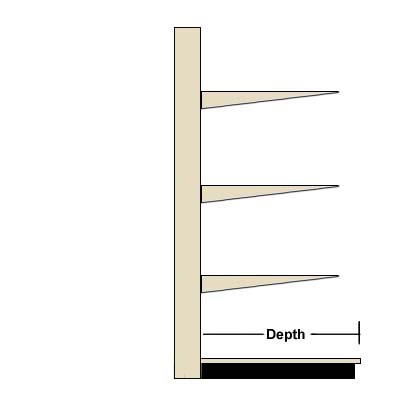 From top to bottom: top spanner, backs, center spanner, basic uptight, lower spanner, base shelf, base shoes, base shoe cover, front kictplate. Not show is the splicer spanner used on sections 78" or higher.